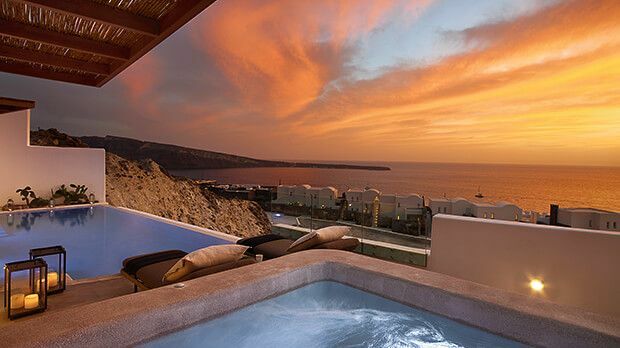 Santo Maris Oia Luxury Suites & Spa is located at the outskirts of Oia village and a short 17km drive by taxi from the Santorini Airport. Airport or port transfers may be arranged directly with the hotel. 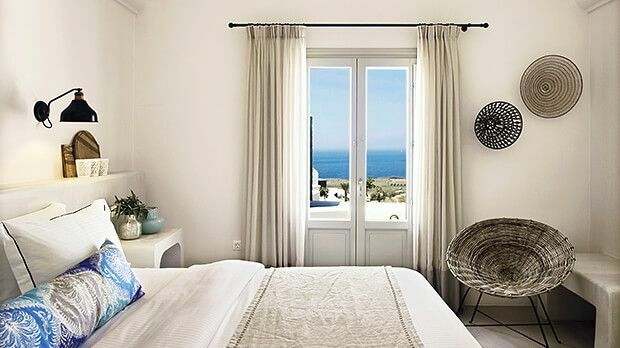 Like the whitewashed walls of Oia, the simple, bleached white color scheme at play in Santo Maris Oia Luxury Suites & Spa places the stunning local scenery to the forefront. 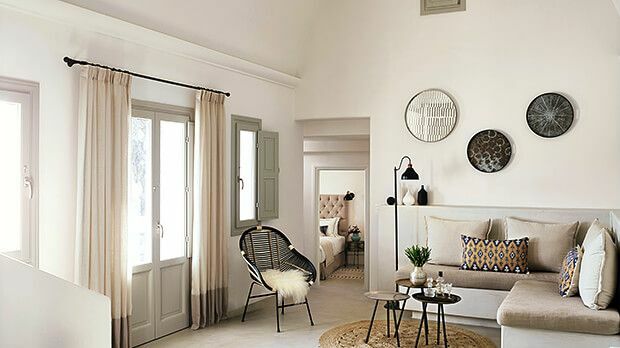 The décor within takes its visual cues from the unique architecture, tradition and style of the different Greek Islands. 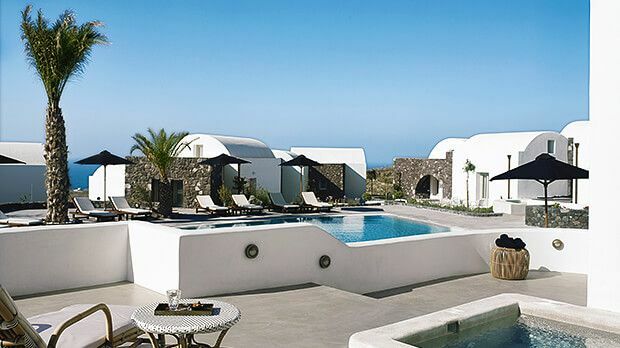 Despite this timeless look, creature comforts like heated jacuzzis, five outdoor swimming pools, and the largest spa on the island ensure guests don’t miss a beat. Hiking the bountiful scenery around Oia can be tough work. Luckily, the onsite revival Spa delivers a complete range of treatments and relaxation therapies designed to soothe weary bodies and minds. If that sounds too passive, a fully featured gym ensures one’s workout doesn’t have to stay at home. 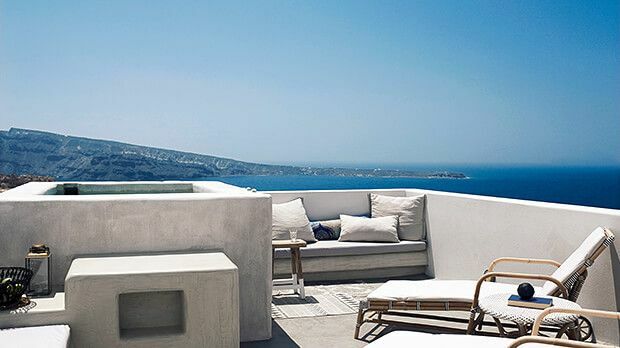 Similarly spectacular is the dining on offer at Santo Maris Oia Luxury Suites & Spa’s gastronomic outlet Alios Ilios. Brimming with locally sourced ingredients, the restaurant's menu represents the best of Greek modern cuisine. Enjoy against the backdrop of a blazing sunset for best results. 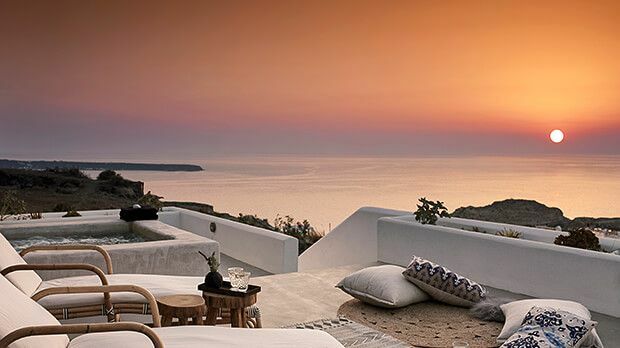 Send an availability request with your requested dates to the Santo Maris Oia Luxury Suites & Spa. Features one King bed, 2 sofa beds, Wi-Fi Internet, air-conditioning, kitchenette with dining area, Jacuzzi and a safe. Features a king bed, one sofa bed, free WiFi, air-conditioning, kitchenette with dining area, jacuzzi, safe, and a hair dryer. Features a king bed, two sofa beds, free WiFi, air conditioning, kitchenette with dining area, jacuzzi, safe, and a hair dryer. Features a king bed, sofa bed, free WiFi, air conditioning, kitchenette, dining area, jacuzzi and safe. 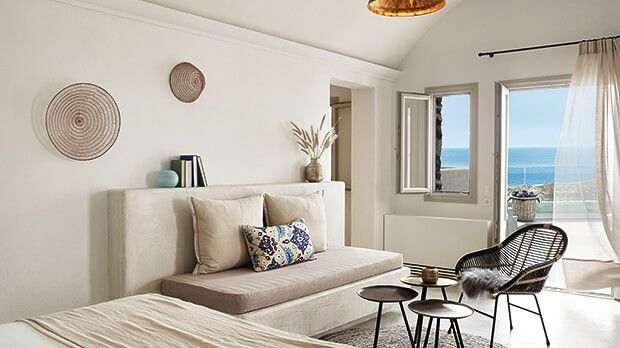 Features a king bed, two sofa beds, free WiFi, air conditioning, and a kitchenette with dining area. 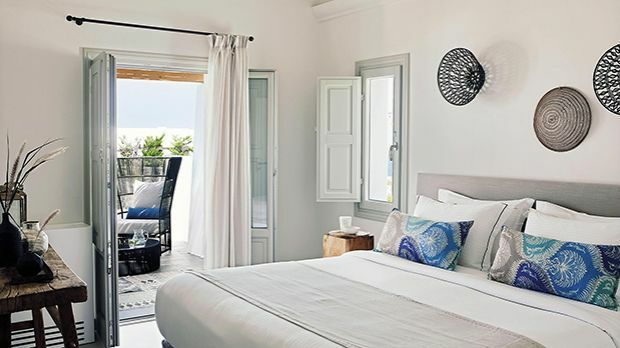 Features 1 King bed, uninterrupted view of the Oia sunset, handmade furniture and sumptuous fabrics. Features two king beds, two sofa beds, two bathrooms, free WiFi, air conditioning, jacuzzi, safe and a kitchenette. 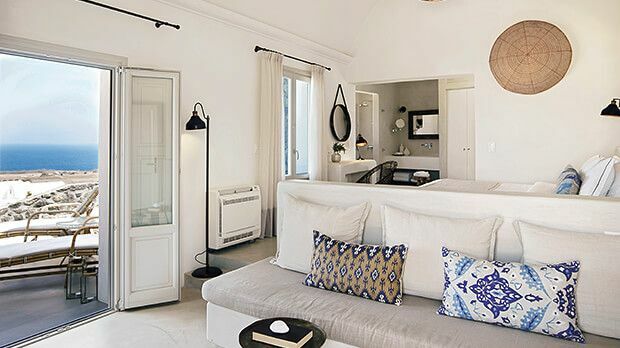 Features a King bed, uninterrupted sunset view of Oia and the Aegean Sea and living and dining rooms. Features two king beds, two bathrooms, free WiFi, air-conditioning, private pool, outdoor pool with jacuzzi, safe and a kitchenette.